1-Scholastic achievement and psychosocial aspects of life in children with chronic Liver disease, Benha Medical Journal, V 19No.3 (51-61), sept. 2002. 2- Risk factors and magnitude of osteoporosis among attendants at Benha University Hospital, Accepted, Benha Med. J. 2002. 5- , Borderline personality disorder , its nature ,diagnosis and comorbidity,Zagazig U. Med.J,Vol.VI,No.5 (647-659), Sept. 2000. 6- Impact of mothers Knowledge & Pracices on infant care among primiparous mothers attending MCH center in Benha City , Benha Medical Journal, V 17 No.1 (531-540), Jan. 2000. 7-Obesity among females attending out- patient clinic at Benha University Hospital, Benha Med. J. 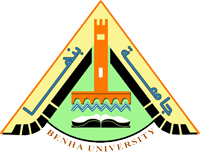 8- An Epidemiological study on Female circumcision in Benha city , Benha Medical Journal, 2000. 9- Risk factors and Health problems among a sample of asthmatic school students , Benha Medical Journa. 10- , Prevalence of clinical blindness among out-patient attendants at Benha Ophthalmic Hospital, Benha Medical Journal, V 11 No.1 (319-325), Jan. 1994. 12- factors of Hypertention in a Rural area in Kalyobia Governate, J of the Egyptian association of Community Medicine , Vol.XII, No. 2,Sept.1995. 13-Prevalence of clinical blindness among out-patient attendants at Benha Ophthalmic Hospital, Benha Medical Journal, V 11 No.1 (319-325). 14-An Epidemiological study of the problem of working children in Benha, Kalyobia Governate, Benha Medical Journal, V 11 No.3 (221-231). 15-Study of some parasitic Infectins in rural areas in Kalyobia Governate, Benha Medical Journal, V 11 No.3 (243-251). 16-Comparative Study of General conception of Physicians and Nurses towards the EPI activities in Both Kalyobia Governate and Qatar, Benha Medical Journal, V 11 No.3 (199-207).